Over the years, the IPA Polka Hall of Fame and Music Awards processes have rightfully recognized deserving polka musicians who attained prominence in the polka industry for their musical achievements that helped promote polka music and broaden its audience. Because of their highly visible roles, bandleaders or “front men and women” usually received most of the recognition for their groups’ success that may have contributed to their winning individual awards or their eventual inductions into the Polka Hall of Fame. Unfortunately, exceptionally talented band mates who also contributed greatly to the success of their groups, often never received their due recognition. To address this situation, the IPA Polka Hall of Fame and Music Awards Committee collaborated with the body of Trustees to establish a new annual award to recognize these deserving “side men or women” of notable polka bands. 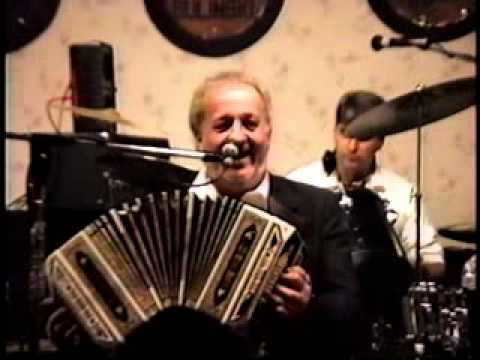 To honor the legacy of the long-time Chairman of the IPA Polka Hall of Fame, Leon Kozicki, the committee and Trustees also recommended the award be titled “The Leon Kozicki Trustees Award.” The IPA Board of Directors approved the establishment of the award effective this year. Candidates for The Leon Kozicki Award must meet the following criteria: 1.) must not have been inducted into the IPA Polka Hall of Fame nor be listed on the current year’s ballot (note: receiving this award would not disqualify deserving candidates from subsequent Polka Hall of Fame consideration); 2.) Must have at least 15 years of dedicated, significant service to the same prominent musical group and/or leader; and 3.) May not be deceased. Each year during the Hall of Fame/Awards cycle, the IPA Polka Hall of Fame Committee develops a short list of potential award candidates. The list is shared with the Trustees who vote to determine their choice of the most deserving candidate. The winner is contacted by the PHOF Committee and invited to attend the annual IPA Polka Hall of Fame and Music Awards Banquet to receive the award. If necessary, the award is presented at another time and location to accommodate the needs and preferences of the recipient. A plaque similar to The Joe Jozwiak Award is presented to the winner with a replica submitted for display in the IPA Polka Hall of Fame Museum. The award winner or representative receives a complimentary ticket to the banquet if he or she is able to attend. The inaugural recipient of The Leon Kozicki Trustees Award is Tom Kula. Tom performed with the original Ampol Aires for over 50 years and continued appearing with the New Ampol Aires for an additional 13 years. His extraordinary musical talents and contributions to this legendary musical group epitomize the intent of this award. The International Polka Association extends hardy congratulations and heartfelt appreciation to Tom Kula for his remarkable polka career.